It is our great privilege to feature veteran talent Sound Quelle on our imprint for the first time, with a two-track EP. He has released music with Enhanced and various other elite international labels, often in the trance & progressive genres. This EP showcases his deeper side, at which he has proven himself equally adept. The title cut, "Without You", centers around a delicate and beautiful vocal hook, which is a recurring vocal motif throughout the track. Early on, a classically "resonant" deep house bassline enters the mix, giving the track a funky swing. Adding to the mellifluous soundscape are various piano lines, which add a refined, dare-we-say "aristocratic" vibe to the affair. The B-side, "Night Time", is a slightly more up-tempo cut, yet no less poignant. Gorgeous strings and crystalline piano melodies transport the listener to an underwater utopia. 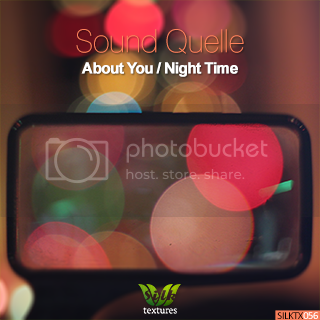 Sound Quelle has a tremendous talent for melody, and he offers numerous variations on the lead themes in this one. When all of the layers coalesce in the latter half of the track, the result is deeply emotive and cathartic.